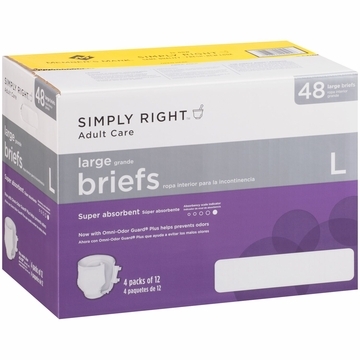 Simply Right Adult Care Large Briefs have Omni-Odor Guard Plus which helps prevent odors. The Simply Right Promise: Simply Right is dedicated to providing healthful, gentle, and safe personal care products for the entire family. We continuously strive to be your trusted partner in wellness and exceed your expectations.